It is the festive season and it is the period when many people travel from point A to point B. For those who prefer taking flights when traveling, you may not know that flying tampers or messes with your body. Yes, it does. In line with this, Jumia Travel, identify 5 things traveling does to your body so that you will be prepared to tackle this bodily reaction on your next flight. Dehydration is one of the obvious signs of flying. You will feel your skin drying up as well as your hair getting rough. This is because according to research, your body feels comfortable when humidity is between 40% and 70%. However, when you are in an airplane, humidity falls between 10% and 20%. TO stay safe, drink plenty of water before, during and after your flight. You will probably be used to Jet lag if you regularly. If is a well-known effect of flying. Jet lag means when you are very tired or disoriented after a long haul flight. To prevent jet lag, you should create the right sleeping environment. You can also use ear plugs. During and even after your flight, you will discover that you will find that the meals you eat are bland and tasteless. This is as a result of your flight. Your taste buds will be restored. But in the interim, you should go for spicy means because they taste stronger. 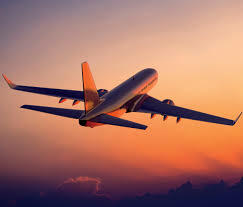 If you are flying at high altitude, it means the oxygen level are very low. You might find it difficult to breathe due to the absence of oxygen. You should avoid drinking alcohol because it makes the body less effective in absorbing oxygen. When you sit for a long period of time, blood gathers in your legs. And before you know it, your leg begins to swell. This is because the blood circulation has been hampered. You should take a few minutes’ walk to stretch your legs.